You can find Kate here and here on Ravelry. What was the initial inspiration for Twist Collective? ( http://www.twistcollective.com/collection/about ), Twist Collective was originally conceived as a publication that brings together the talented work of designers and writers, showcases their work professionally and pays them fairly. I think that last part is really the most important. 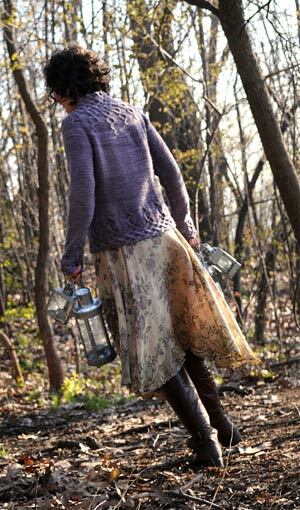 While knitters and other fiber artists are most certainly not exclusively female, the craft has long been disparagingly labeled as “women’s work” and the people who do it were expected to be happy to receive little or no compensation. PDF patterns were rapidly becoming a norm for customers and there was really no better time to start looking at alternatives to print magazines that pay a flat fee regardless of the success of the pattern. By offering royalties, and selling only individual PDF patterns, instead of a print publication, we could better compensate the many individuals that make a good quality product, possible. In return, customers only buy the products that interest them, giving the designers and publisher immediate feedback on what they like and what they don’t. Could you tell us about the steps required in starting an online knitting magazine? Starting a publication is huge, so huge I’m not sure I would have done it if I had known just how much work it would be. Ignorance is bliss, right? Of course, every magazine is different and how much prep work is needed will depend on the resources you have available, your business model, your available time and how much money you have, but for us, it involved the technical aspects of creating the site (design, hosting, domain, programming, etc), choosing a name for the publication and creating a logo, finding designers for the first edition, planning a schedule, sourcing yarn, hiring photographers and models, getting tech editors, creating PDF pattern and chart templates, planning shoots, doing layouts, contracts, reaching out to advertisers, setting up a system for tracking and paying royalties, and testing testing testing testing everything with the hopes that the launch will be a success. I’m sure there’s more I’ve forgotten. It took us 6 months to get the first edition out and I hardly remember sleeping during that time. Even with all that prep, the magazine has evolved and improved based on what works and what doesn’t. You have to have a plan but you can’t be so fixed on it that you can’t adapt. We'd like to know something about your Twist Collective team, how did you find such an amazing group? This runs the risk of sounding like one of those boring awards show speeches where everyone and their dog groomer is mentioned, so I’ll try to avoid being too dry here, but I’m pretty proud of my team. I’d have to start by mentioning my mom, Cynthia, who deals with all our advertisers and does most of our customer support. I’m not sure I could run this magazine without her. 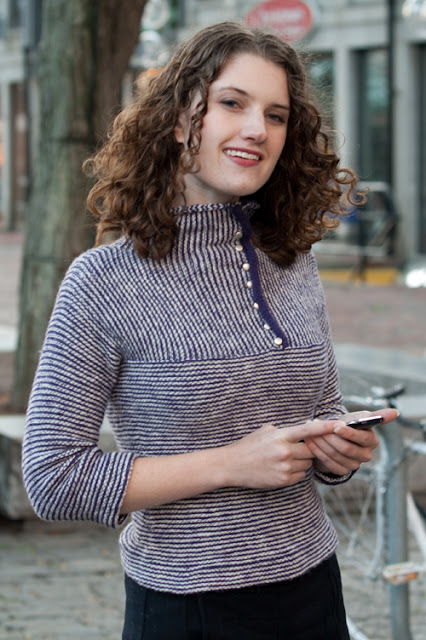 Carly, who does our social media work, has been helping me answer knitting emails since before I started Twist. The voice of our blog, twitter, and facebook, is often her voice and I think she brings a great energy to her role. Fiona Ellis introduced me to our features editor, Daryl. I know our programmer, Eric, through a college friend, our head tech editor, Sandi, has a reputation for being great. I was thrilled she agreed to join our team. Marnie has been designing with us since the first edition and we quickly became friends. I asked her to join the team a few years ago. I’m leaving out so many important people, like Irene, and MJ and Alison and Robin, whose roles are invaluable, not to mention the other tech editors, photographers, models, and people who have pitched in for testing and sample knitting and more. The amazing thing is, almost everything is done by email and an occasional video chat since the team lives throughout North America. Have you had a mentor to advise you? I worked in publishing before starting Twist so I already had some understanding of magazine publishing. Honestly, I’m not sure there would have been anyone who could have mentored me. There are not that many people who have started successful knitting magazines who have the free time to help someone else start one as well. Instead, I focused on finding an amazing team who was committed to seeing Twist succeed. Please tell us about your views on compensation for designers. As I mentioned before, PDF patterns were becoming more and more the norm, in 2008, when we launched. Designers were starting to see the benefit of being able to sell their patterns online and magazines were beginning to test the waters with reissuing older patterns for online PDF sales. Publishers have to recoup their initial investment in producing the pattern, but I didn’t think that had to mean that designers should lose the right to ongoing compensation for pattern sales. Under our contract, designers received an agreed upon percentage of every sale of their pattern, even after the exclusivity period. With our relatively short exclusivity period and generous royalty payments, we believe that designers are motivated to come up with and submit great designs and we are motivated to style and edit them to their best advantage, producing great quality patterns for knitters. What features make a successful design to your way of thinking? I suppose that anyone who knew the answer to that question would be able to retire early. There’s always a certain risk — both for the designer and publisher — that a design just won’t appeal to customers. We want to give our readers a selection of designs that will appeal to them, without looking like we’re rehashing stuff we’ve already published. Items need to be seasonally appropriate. We’re not going to run a big wooly cabled coat in our Spring/Summer edition nor a light little cotton tee for the winter edition. So a design might be amazing, but if it’s seasonally inappropriate, it may be passed over. We also try to find garments that are practical. Can someone wear a bra with the item? Is it a style that’s so trendy, it’ll look dated before we publish it? 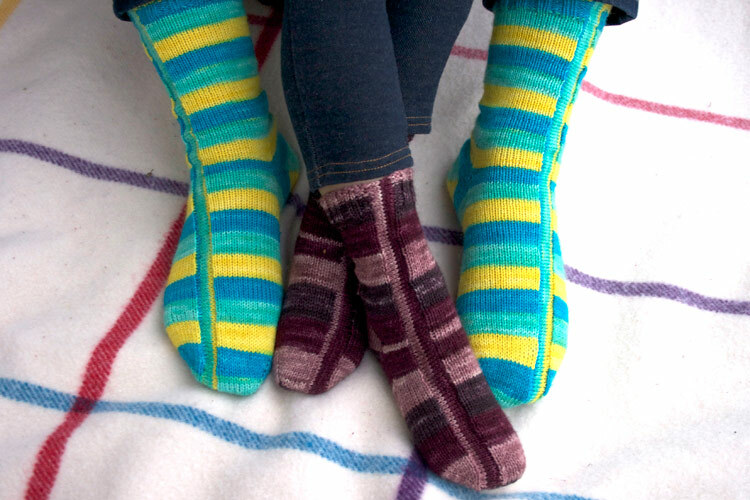 Knitters come in all ages and sizes and we want them all to find projects they’ll love. Lastly, there needs to be something special about the item that makes it stand out. Knitting is expensive and time consuming. 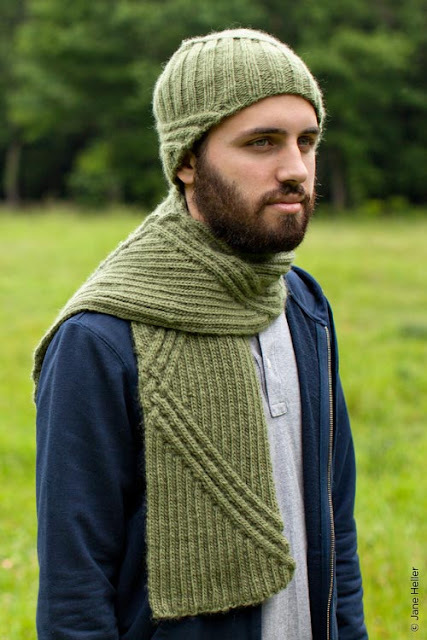 Each piece needs to have something that makes it worth the investment in time and yarn. How would a less well known designer get published in Twist? Aspiring designers bring a great enthusiasm to their work. 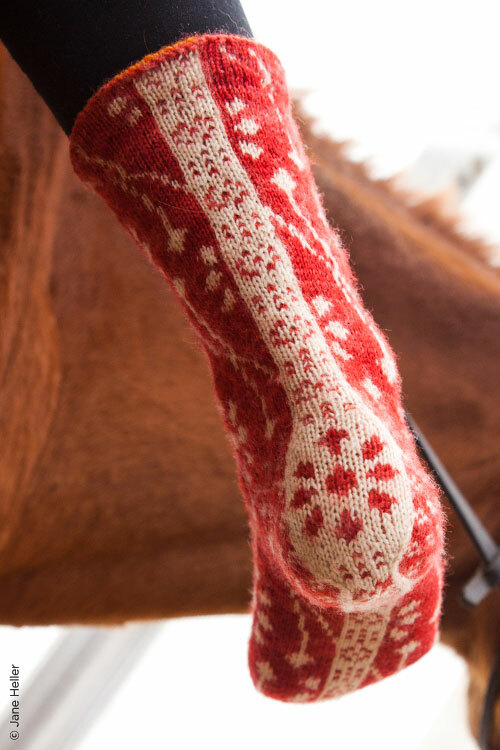 We’ve accepted quite a few designs, over the years, from people who have never published a design before or who have only self published patterns. As a general rule, we encourage new designs to start with accessories. Working under deadline, with assigned yarn introduces challenges that the new designer may not be accustomed to. Adding in the challenge of grading a pattern and knitting to a particular sample size, may be biting off more than he or she can chew. We do look at a designer’s portfolio and read their bio and if we think a design is more ambitious than the designer may realize, we may turn down the design. It can be bad for a new designer to have a pattern be hugely successful but full of problems. That initial reputation can follow them around for a while. Better to start smaller and build up to the more complex designs. When it comes to getting noticed during submission review, be sure you read all the instructions for submitting. Sending in your submission in the wrong format or excluding important information may suggest that the designer is not going to follow directions, read the style guide or meet deadline. Treat your interactions with the same professionalism you would bring to any job interview. It costs us and the companies that give us yarn support, a lot of money to accept a design, so we have to make sure we are working with people who take the process seriously and can deliver on what they’ve agreed to, in the time agreed to. If you don’t have a lot of experience in designing but you have other related skills, we consider that as well. Are you great with numbers? Have you worked in other areas of the fashion industry? Do you have some impeccably knit original pieces you can show us in your Ravelry notebook? All of those may be a selling point for an aspiring designer. How many hours a day do you work and how do you keep your life in balance? I gave up on the idea of work/life balance about 5 years ago, which is why you might see my sister or daughter modeling, my mom answering emails, my father calculating royalties, my neighbors and friends pitching in for testing and modeling and why I’m usually up at the crack of dawn and working until the wee hours, almost every day. But I wouldn’t do it if I didn’t love it. While it’s exhausting work and there are days and weeks where I might question my own sanity, it’s also been hugely rewarding and has allowed me the flexibility to be home when my daughter is home, and get her to all her activities and events. What do you enjoy most, running Twist or doing your own design work? While designing patterns has taken a back seat over the last few years, I still love to do it and I can’t imagine ever stopping. But creating the magazine spreads, managing shoots and putting together a cohesive color palette for each season and story, is designing too. As long as I’m designing something, I’m happy. 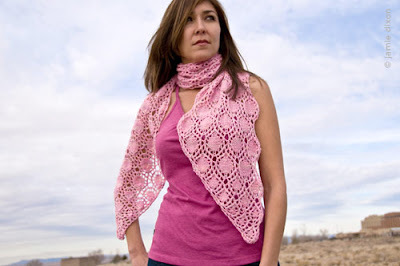 We've seen many cycles in the knitting industry of the market increasing and then falling again. What are your thoughts on where things might be headed now? It's funny, having lived in the US, France and Canada, knitting has been perceived as "hot" at all different times, so I take the cycle with a grain of salt. 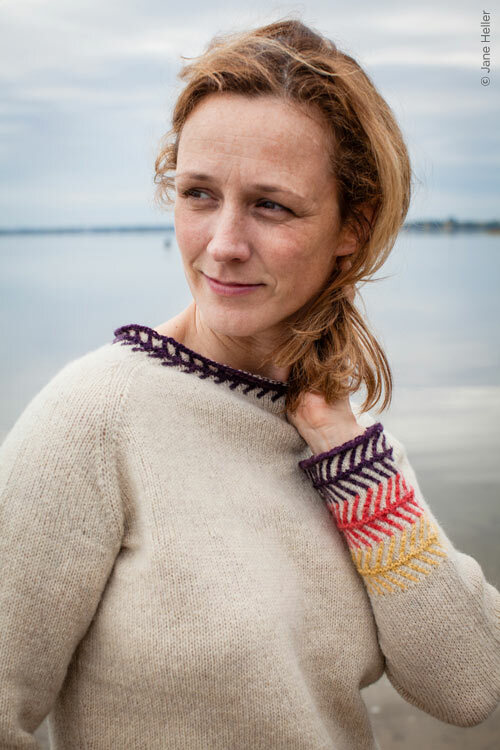 All I can do is keep publishing designs that I feel are interesting and beautiful and hope that the knitters keep coming back to knit them. 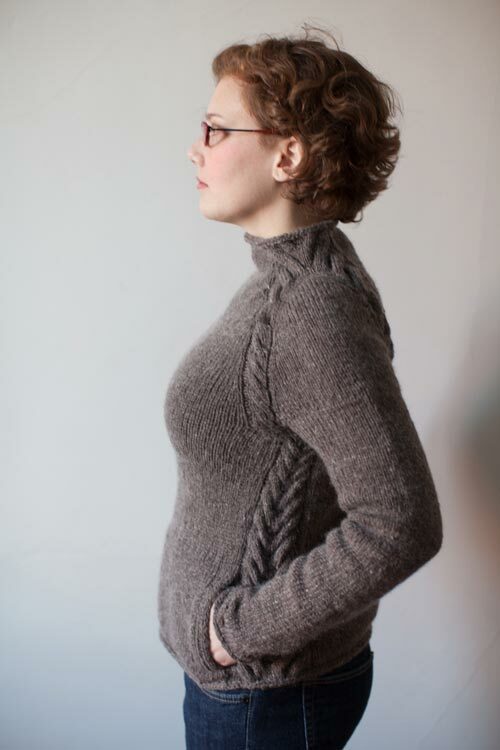 Do you think Twist has had the impact on the knitting world that you envisioned? Twist started at a time of flux in the industry. Back then it was more common for designers to sell all the rights to their pattern and receive a flat fee. I can’t say if Twist played a role in the move towards more royalties and allowing the designer to keep the rights to their pattern, but I hope, minimally, that we added legitimacy to the model. I think it’s a big step towards making it possible for designers to make a living off of their hard work. thank you for a wonderful interview. i remember reading Kate's blog while she lived in Paris, moved to Canada. and now, how great to see Twist evolved to what it is today! Great interview -- Kate is quite the trailblazer!